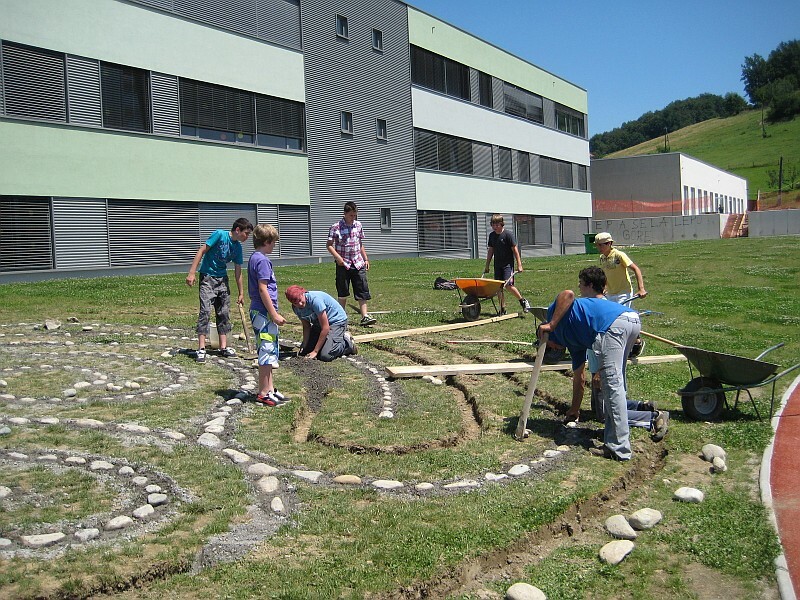 Have you ever considered building a labyrinth but wasn’t sure which one to build? You always found labyrinths fascinating and somewhat mysterious? And you always thought it would be good to have one around? If you answered yes to any of these questions then you might continue reading and find out why should you consider building a celestial labyrinth(s). There are three strong reasons for building the celestial labyrinth. Let’s start with first. Personal reasons answer to question what’s there for me. I can tell you right away there’s a lot. Celestial labyrinths can be used for creating balance in any area of peronal life. For instance, if you have problems in your love life you might consider building the labyrinth of love and creation because that labyrinth creates balance in your love life. On the other hand if you want to improve your communication and trade skills you will consider building the labyrinth of connection. Or, if you think you lack confidence and self-respect you will consider building the labyrinth of power. And if you need courage to quit your job you will do yourself a favor by building the labyrinth of energy. The list goes on and covers all aspects of personal life you can think of. That’s because celestial labyrinths are geometric representation of cosmic principles. So, if you keep using the labyrinths you will be in balance with the comsic principle the labyrinth represents, whether you are aware of it or not. Just find out where your weaknesses are and use celestial labyrinths to fight them. Global reasons answer to question what is there for my comunity or humanity in general. Well, aside form creating balance in one’s personal life celestial labyrinths create positive atmosphere for entire comunity. For instance, if you think your comunity is violent you might consider building the labyrinth of connection and labyrinth of energy. Having those two labyrinths around can lower people’s agression towards each other (and other beings) and create more cooperation and connection. Or, if you want to improve learning capacity of students in your local college or school and spark an interest for new knowledge you will want to build the labyrinth of wisdom. Or, if you live in a comunity where there are lot of drug addicts you will do good by building the labyrinth of love and creation since that labyrinth affects addictions of all kinds. Just as for personal use, the labyrinths can be used to handle all known social issues in a comunity. Just indentify the issue and choose the right labyrinth. And last but not the least, the mystical reasons. I cannot say much about those but I can share some of my experience. If you are driven by mystical reasons then there are no obvious reasons you want to build the celestial labyrinth. You only have that “right thing to do” feeling. You hear that tiny voice in your heart telling you to do it and what to do it. You also are very attracted to labyrinths and not sure why. It all seems almost magical to you. If you feel any of this you should really consider building the celestial labyrinth(s). When I decided to build my first celestial labyrinth a few years ago I had no obvious reason to do it. I only knew I had to build one. You just recognize that aha moment that is often followed by strong inner feelings that sometimes can bring tears in your eyes. Those are reasons beyond personal and just can’t be explained. When building the labyrinths driven by mystical reasons you can expect weird and unexpected things happen synchronously. Syncronicity comes alive and you feel the univers’ help and presence. Building my first labyrinth brought such amazing things to my attention that it made me cry. Animals came and watched me build then they started to play around like crazy. I felt such a strong inner feeling of bliss that it was amazing. And when building was done I saw a pillar of rainbow in the sky although there was no sign of rain whatsoever. This all can be considered mystical. People often have all three (or just two) of those reasons present when they decide to build the labyrinth. That’s ok. Whatever reason it is you decide to build the labyrinth, remember you will do good and positive thing not only to yourself but for entire comunity you live in. And finally, I have to say that there is much more to celestial labyrinths then meets the eye. I just feel that. We live in turbulent times. Many people speak of inevitable change coming our way. Our world is changing before our eyes. Celestial labyrinths can play an important role in those times of change. I stronlgy feel that to be true. So, don’t hesitate to do whatever you can do to help.